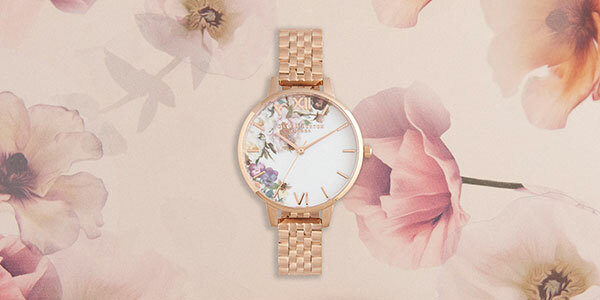 The Olivia Burton Floral collection blooms with intricate flower printed dials for a floral flourish. These lovely designs will freshen up your look with both a feminine and fashionable feel that's reminiscent of an English country garden. 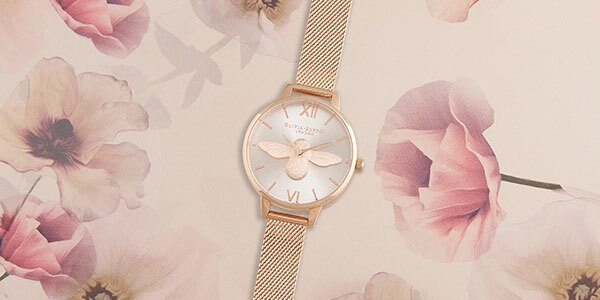 Create a buzz with a bee-autiful Olivia Burton watch with stunning 3D bee motifs. The pretty bee has become an iconic symbol of the Olivia Burton brand and we love the 3D effect, showing off the intricate and innovative attention to detail behind every watch. Make a bold fashion statement with an Olivia Burton watch from the Big Dial collection. Featuring on-trend oversized cases, these watches are matched with a sleek and minimal style for a timeless look throughout every season. Overflowing with timeless charm and personality, Olivia Burton watches beautifully blend vintage inspiration with modern catwalk trends. Since their launch in 2012, Olivia Burton have been the brand everyone’s been talking about, loved for their unique and collectable feel. Each piece embodies the brand’s signature style, blooming with femininity and fun. 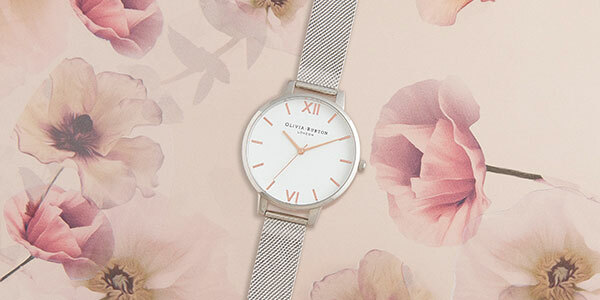 For a fresh and fashionable finish, an Olivia Burton watch is the perfect choice. Discover our selection of Olivia Burton jewellery and watches instore.